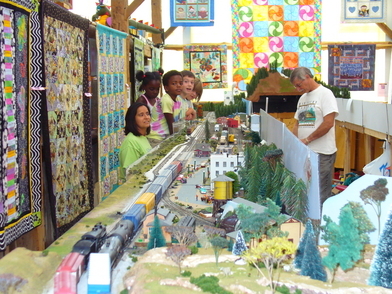 Kids, Crafts, and Critters is held the last Saturday of every month. Line Dancing is held Friday nights Fall through Spring - check dates. The Crazy Ladies began in 2003 following a weekly Crazy Quilting Class taught by Sally Hitchcock. 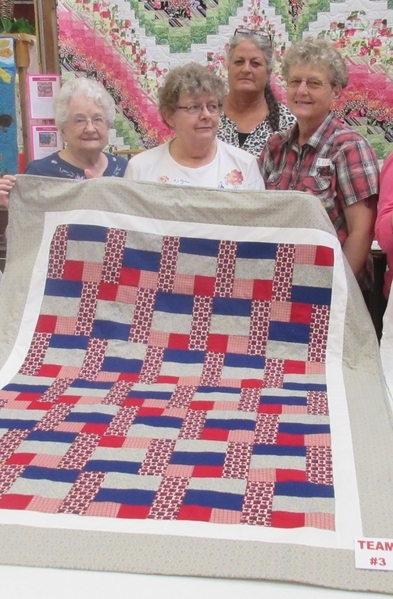 The group had so much fun together during the weekly classes at the quilt show, they decided to continue on a weekly basis. All are welcome to join the Crazy Ladies on Thursday mornings, from 10am - noon. (some stay until the museum closes) Although they started out as crazy quilters, they do whatever they want today. Some knit or crochet, but most still work on quilts of some type. It's really about getting together with others in the community who have similar interests. Stop in and see if it works for you! Thanks to the Crazy Ladies Quilting Circle "Quilts & Their Stories" is held every August & September featuring over 100 quilts! The first Jam Night was held in February of 2004. Corky (Cornelius) Pals of Eastmanville had an idea that the Farm Museum would be a good place to get together and share his love for music with others. Seeking the help of his musician friends; Peg Becker and Wes Glass, along with many others along the way, Jam Nights soon became a community event second to none. Corky passed away in 2008, but the music never stopped. He has provided the opportunity for so many musicians to play in front of a live audience and because of his dream, thousands have been entertained. Musicians sign up to play or sing a song, tell Mary Lou Pals what key they'll be playing in, and all the other musicians play along. Some prefer to do solos, but generally speaking, it's a jam session where anybody can play along. If you like country, bluegrass, old gospel, and folk music, you'll fit right in! Come on down and sit a spell and listen to some old favorites. You may even get to hear Wes yodel or Thom play his musical saw. You just never know what you might hear at Jam Night. Jam Night is held the 1st & 3rd Tuesday of every month, year round. Acoustics only, please. Music begins at 6pm and goes until 9pm. Doors open at 5pm. Refreshments are provided by friends and members. 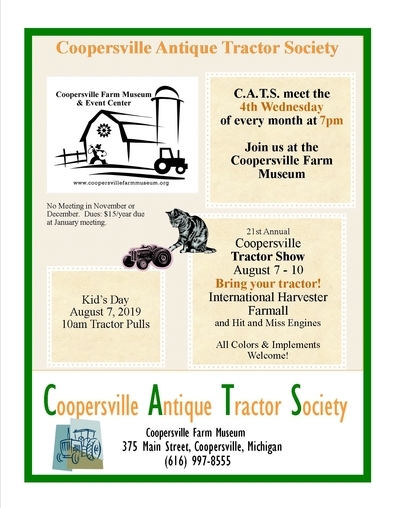 Punch and coffee provided by the Coopersville Farm Museum. Ho Train Layout is constantly changing. 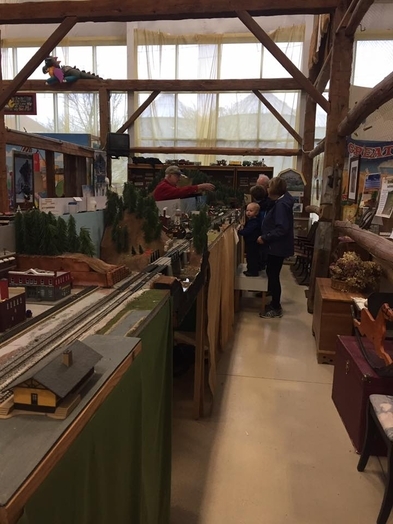 Stop by and talk to the train guys about their hobby. If you have a group planning a visit, be sure to let us know you're coming and we'll get the train guys to be at the museum too.